This blog will cover the following six topics: Social Media & Training, Social Media Platforms, Importance of Social Learning, Social Media Strategies for Best Practices, Storytelling in Social Media for Training, and Social Media for Professional Development. Each will be covered and information provided regarding how these six topics will help enhance and improve the learning environment by properly utilizing social media as a effective training tool. Benefits of use – Social Media can be a new and exciting way to give life to training by finding the right one for your group of learners. This is not an easy task and very well may be met with resistance. However, once its benefits are shown and how it can relate to important aspects of the learner’s lives, then they will have an opportunity to experience an engaging atmosphere that is unique to anything they have experienced thus far. It also keeps them connected with the advances of technology and communication in the world. It also can prove to be a gateway for them to become a proponent and advocate of social media to peers of their generation who were once reluctant to its use. The advantages far outweigh the disadvantages of not having social media in training. Those being a way to communicate with individuals who may not be able to attend all of the training sessions, accessibility to more information on a number of platforms than would be otherwise available, and also a social media platform specific to training will allow former trainees a way to stay in touch with their facilitator and utilize the tools and techniques learned by having a basis for future instruction. Despite there always being a few drawbacks to incorporating social media into training, it will continue to be a necessity to keep up with progressive business and organizations who utilize it regularly. For more on the advantages versus disadvantages, visit this website: https://elearningindustry.com/use-social-media-online-training-benefits-drawbacks. Integrating digital with traditional platforms – The integration of digital with traditional platforms can be an exciting and growing experience for all involved when approached properly. 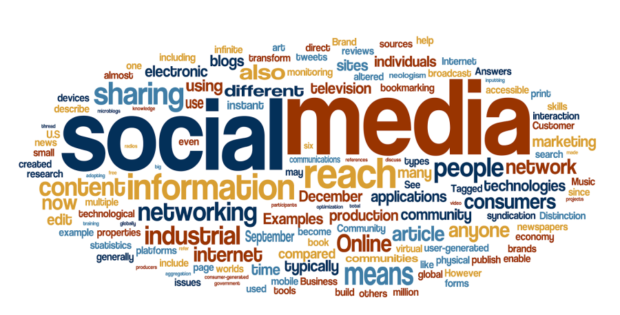 The key is in understanding the comfort level of individuals who are new to the social media platforms available. One way to help with showing the benefits of the integration is to do a comparison and contrast of each in an effort to show the similarities as well as how things have advanced so that there will be a steady learning curve for all involved as opposed to an imbalanced one. The two can coexist if there is a direct relation show to their relevance. There must be a connection to the past that the learner can relate otherwise they may avoid the new platform altogether. Facebook – By far the largest and most accessed form of social media, Facebook is a juggernaut when it comes to being a major influence and vehicle for training purposes. Facebook has become so popular over the years that many of our functions on other websites are tied into Facebook. It is used as a log in tool for several other digital platforms. Tumblr – Though not as well known or used as many other social media platforms, Tumblr has its own unique format which can be useful if incorporated properly with training. It is a great example of microblogging that uses a number of medium to convey messages and relay pertinent information. This allows for its sue in training to be a great win. Twitter – Of these three platforms covered in this writing, Twitter is by far the most unique. With its 280-character limitation, Twitter forces account holders to address their points as clearly and concisely as possible without having to go over the limit, shorten it or simply continue it in another tweet. This is an effect format for answering questions and having them answered in real time so as not to have the flow of training broken. This question and answer format is also utilized on many talk show or news formats that helps with clarity on subjects that would otherwise take away for the training or at the least slow down the learning process for others. 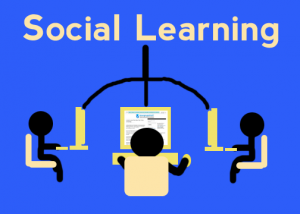 Social Learning with Social Media – Learning with social media will continue to be a wave of the future as our world relies more on digital media to survive and thrive. Learning how to solve problems in a group as opposed to paying someone to solve them for you will be more beneficial for people regarding issues such as automobiles, home improvement projects, or even computers. We will continue to rely on the assistance of others in the same situation as you are as long as social media is a part of our lives with options like YouTube which helps provide self-instruction on a number of topics. Social Media helps with social learning experiences for opportunities to meet other learners as well as make connections with other educators and training professionals (Walsh, 2011). Blogging and social learning – Blogging (as it is done here), can be a means to participate socially with other when a real time option is not available. Blogging also allows for individuals to read, process, and research before deciding to comment or post on a discussions topic. The blog can then become a discussion upon which a series can be based and continued depending on the depth of the writing and interest of its followers. Then time permitting, a real time discussion and community blog can be written and posted for others to follow as a group going forward. The social learning gained from experiences such as this are invaluable. Personal Learning Networks – One of the more important aspects of digital social learning is that of Personal Learning Networks. These networks are a means of partnering with individuals who share the same interest as you on a subject, cause, trade, etc. and each of you brings something unique to the network that is of benefit to others involved. Choosing the right network for your needs is important for your growth. Therefore, doing one’s due diligence to locate a network that will assist with your goals and endeavors to move forward may take dedicated research on your part in order to find the right fit. Policy & Procedures – These will provide proper protocol and etiquette for online facilitation and delegation of duties, responsibilities, and expectations. These will need to be updated periodically in order to assure compliance with current trends and needs. Guidelines – In addition to the policy and procedures, the guidelines will compliment the two by supplying suggested best practices to maintain a respectable profile and presence that individuals who have both a personal and professional presence will appreciate and admire. Monitoring – Tracking the input and discussion of individuals to determine if there are areas where it might be considered cyber bullying or stalking. In doing so, we will establish a safe environment for all who participate online. Personal storytelling – Personal narratives can be a great way of connecting real life experiences to challenges individuals face in training environments. The narratives can be a way that the participants engage others and enlighten them on how they overcame obstacles. 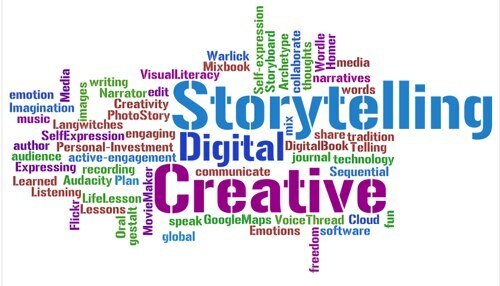 Digital storytelling – The digital world of storytelling has taken off over the years. There are number of mediums such as Prezi that are great to incorporate into training and when coupled with social media can be a great teaching tool. Blogging for historical storytelling – A blog series on a topic or a person is great way to compile an online diary of events, happenings and things that will maintain a record of opportunities and successes that will show the who, what, when, where or why of the matter and assist with getting individuals to the next stage of training with this step by step process. Meetup – This is a great source to find local events, happenings, and groups that may interest individuals. It is also an opportunity to learn about workshops that may be on a weekly or monthly basis that can be of value to people. LinkedIn and its benefits – Using LinkedIn as a career source goes without saying and it is a great place to display one’s professional resume and connect with people in your chosen profession to leverage yourself for a future job or position. The site also allows potential employers to chance to view how many recommendations have been done for individuals whom they may be interested in hiring. Organizational social media pages – These pages let potential job seekers or member s know about the organization and what it deems its focus and is important enough to maintain a presence on social media. The depth of the pages and specific focus to detail will enable the viewer to determine if the organization is a match for them or not. In closing, these six topics of discussion open up numerous opportunities to incorporate social media tools into learning and professional development. When used properly, they will actively engage participants by constantly creating a unique environment that will regularly encourage and compliment learning as well as enhance facilitation.